Postgraduate Diploma in Education.University of Bucharest, Faculty of Philosophy,1982. He is founding and Board member of the Romanian Committee of Tribology. 1985, Member of the French Society of Tribology. 1985, ,Member of American Society of Manufacturing Engineers – SME 1997, Founding and member of Romanian Concurrent Engineering Association. 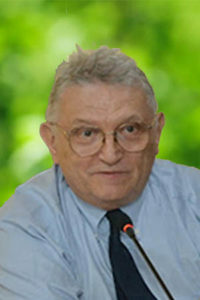 1997, Director of the Scientific Council of the Bucharest Chamber of Commerce and Industry -2007.